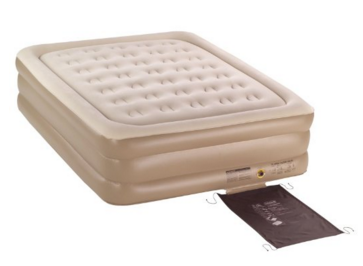 Coleman Double-High Supportrest Air Mattress Just $39.99 Down From $89.99! FREE Shipping! You are here: Home / Great Deals / Amazon Deals / Coleman Double-High Supportrest Air Mattress Just $39.99 Down From $89.99! FREE Shipping! Give your relatives a place to sleep with Coleman Double-High Supportrest Air Mattress from Amazon for just $39.99 down from $89.99! And FREE shipping! Get yours now while it lasts! Fits standard queen size sheets; Inflated dimensions: 76 in. x 58 in. x 16 in.